The perfect blazer can be a tricky item to fit. Too big and you can look like a teenager. Too small and you'll feel like you're in a straitjacket. If you're not sure the difference between regular and long, it's time to think about how to truly size your blazer. With a few easy tests, you can make sure it hugs in all the right places. 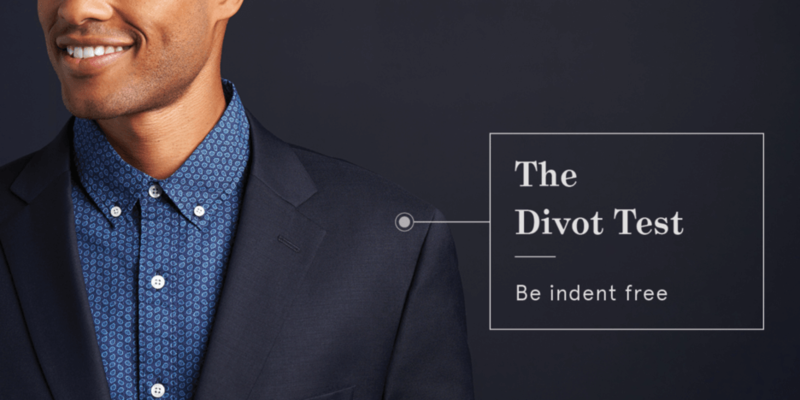 Read on for some tips our Stylists use for finding a blazer that fits just right. The #1 most important fit of a blazer is in the shoulders. Make sure the seam sits squarely on your natural shoulder and isn’t too tight or too loose. (Seriously, to get this fixed by a tailor will set you back a few dollars.) Tightness is easy to suss out by feel alone, but in order to test if the jacket’s too big—and divot free—try this: put it on and stand with your shoulder facing the wall. Slowly lean in toward the wall, like it’s about to tell you a secret. If the shoulder pad makes contact with the wall before you do, you’re in divot territory. Now, how about a little self love? To make sure your jacket fits in your chest & torso, you’ll literally need to give yourself a healthy embrace. With your blazer on, find a mirror. Then wrap your arms around your torso and give yourself a hug. Your jacket should be unrestricted and comfortable. If it feels like you’re one tender embrace from exploded seams, try a size up. When testing your jacket’s sleeve length, let your arms hang relaxed at your sides. Curl your fingers like you’re about to grab some dumbbells (though we don’t recommend working out in a blazer). 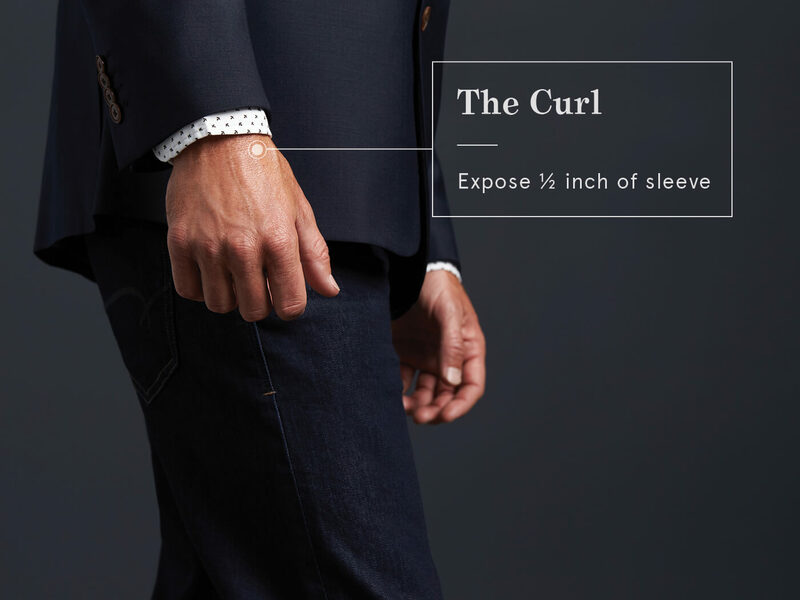 The jacket sleeve should end at your natural wrist with about a half-inch of shirt exposed. Lastly, test the length of the sleeves. Stand in front of a mirror. This time, instead of a hug, pretend you’re about to shake hands with someone. If the blazer starts to feel like it’s being pulled off you, the arm holes are too low. You might want to find a different brand. Want us to take the guesswork out of finding a well-fitting blazer? Schedule a Fix and we’ll send one to you.